These baseball strategies can be applied to all aspects of life. Almost everyone sets goals. Generally speaking, of course, goals can be healthy and productive. But when we set unrealistic goals, the opposite is true. Then, they become an impediment to achievement because they can lead to too much self-induced, paralyzing pressure. Baseball players, of course, are measured by numbers. Batting average. ERA. Home runs. RBIs. Strikeouts. Wins and losses. That’s all fine long term, but remember, once the ball leaves the bat, the hitter essentially is helpless. That’s why, in baseball, “process” goals are the best kind of goals. Example: For a hitter, instead of picking a singular number of home runs or batting average, focus on the daily routine that you can control; things like tee work, pre-at-bat routine, on-deck routine, at-the-plate routine. Seeing the baseball. Better relaxation. Better thoughts when you come to the plate. A process that clears your mind, essentially, and allows that uncluttered mind freedom to focus solely on seeing the ball. This is where a refined sense of self-awareness becomes an important tool. Several years ago, I was working with a minor league third baseman who was coming along nicely and was well thought of by the organization when, suddenly, he began obsessing on the need to develop more power. “Who in the organization told you that you needed to do this?” I asked, a bit perplexed. This, even though most big-league talent evaluators will tell you that power is among the last tools to develop at the major league level. In this instance, the player created an unrealistic expectation largely because of his false perception regarding what he believed he needed to do to get to the big leagues. The best goals are process goals, which, in layman’s language means “how to get there” goals, and they are important because they are controllable. Outcome goals are not controllable, and putting too much focus on them can be detrimental to a player’s overall performance because oftentimes outcome goals are not realistically attainable. And when they are not achieved, a player loses some confidence and feels discouraged and frustrated. This results in continued poor performance, which only deepens the despair of the player until finally he stops caring or trying, and then begins to perform well again. Why? Because he let go of focusing on the outcomes and accepted what he can and cannot control. Acceptance is a part of a process goal that cannot be emphasized enough. The godfather of modern mental skills work in baseball, the late Harvey Dorfman, regularly asked players three questions to help them reach a rational understanding of what just happened in order to help them redirect their thinking. Instead of allowing them to focus on the simple thought, I made an out, I feel bad, he put three questions before them. What were you trying to do? (for example, move the runner to second base by hitting the ball to the right side of the field). What went wrong, if anything? (the hitter pulled the ball to shortstop and didn’t advance the runner because he swung at an off-speed pitch that had him in front of the ball, resulting in a ground ball to shortstop). What will you do better next time? (next time, in that same situation, I will not swing at a breaking ball). This is such a brilliant exercise for players who may fall short of a goal or objective. I use it all the time when I play golf. By asking yourself these questions, you identify your goal (intent), you evaluate what went wrong (if anything, because sometimes you do everything correctly and still don’t achieve your desired goal) and, lastly, by phrasing step three “next time, I’ll . . .” you are moving on from what happened and you already are creating a positive expectation of what you will do in the same situation in the future. And, not stated here, Are you really being good to yourself? That is far more productive than throwing up your hands and beating yourself up over the unsuccessful outcome. 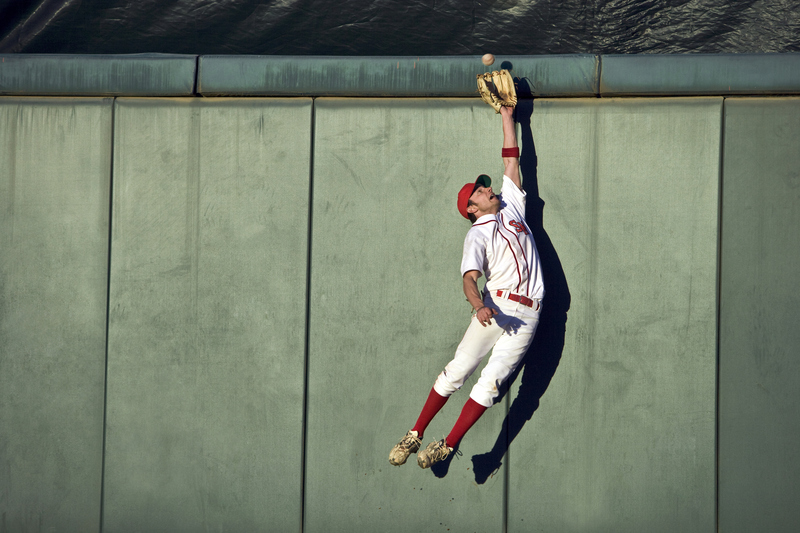 Excerpted from Ninety Percent Mental: An All-Star Player Turned Mental Skills Coach Reveals the Hidden Game of Baseball by Bob Tewksbury and Scott Miller. Copyright © 2018. Available from Da Capo Press, an imprint of Perseus Books, LLC, a subsidiary of Hachette Book Group, Inc.
Bob Tewksbury is the mental skills coach for the San Francisco Giants and the former mental skills coach for the Boston Red Sox. He won 110 games over a 13-year career in Major League Baseball and has a master’s degree in sport psychology and counseling from Boston University.